Like a charming hostess with a colorful past, a historic Southern city has a knack for entertaining, particularly by making captivating stories of yesteryear come alive. One such alluring place is Savannah, Georgia, a grande dame of the Low Country—a regional term of endearment for the coastal plains. Although gracious when people offer comparisons to her refined “sister city” of Charleston and even to fun-loving New Orleans, Savannah wastes no time proving that she is both multifaceted and one of a kind. Aside from being beautiful and congenial, Savannah, a vital seaport today, has always served a strategic purpose. Established in 1733 by General James Oglethorpe, when he and 120 passengers of the ship Anne landed on a river bluff, the city was the first in what would be Georgia, America’s thirteenth colony. Her early settlers were some of England’s working poor, so coastal Savannah provided a fresh start for them while facilitating trade with other colonies. The population also worked as a buffer between South Carolina and the Spanish fleets that threatened to invade. Notably, too, Oglethorpe befriended the Yamacraw Indians, ensuring peace for the settlement. Countless memorials pay tribute to Oglethorpe, but none is more significant than the Savannah plan, a blueprint for the city that he initiated. Starting with a grid of four squares, he designated the center of each square as a public gathering place or park, and laid out streets, homes, and public buildings around those green spaces. 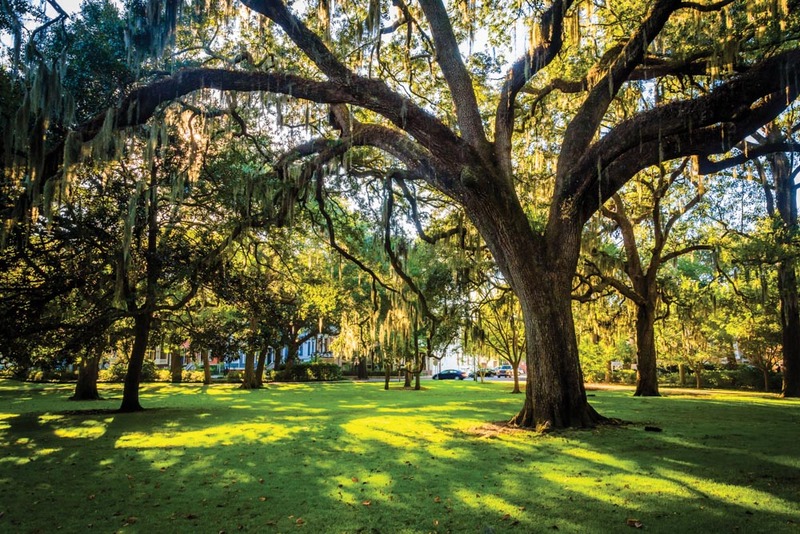 Creating an urban forest within the heart of Savannah, the twenty-two squares that exist today feature year-round flowers, majestic live oaks, and magnolias draped with Spanish moss, statuary, fountains, and park benches. Surrounded by mansions and townhomes dating back to the 1700s, the squares provide a genteel setting and a vivid portrayal of days gone by. The tranquil scenery, however, camouflages a tumultuous past: the Siege of Savannah, the American Revolutionary War’s second-deadliest battle; two devastating fires, one in 1796 and another in 1820; and William T. Sherman’s Civil War conquest. Fortunately, instead of burning Savannah as he had Atlanta, the Union general presented the city—along with “150 heavy guns and plenty of ammunition, and also about 25,000 bales of cotton”—to Abraham Lincoln as a Christmas gift! This is according to the book, Savannah and Hilton Head by Rich Wittish and Betty Darby. Alongside promoting the notion that their city’s Southern belles cajoled Sherman into preserving their beloved home, locals credit yet another band of women for coming to Savannah’s rescue in the 1950s. Over time, nine hundred historic homes had been torn down. By purchasing and restoring the Isaiah Davenport house, built in 1820, the women turned the tide and launched the Historic Savannah Foundation. 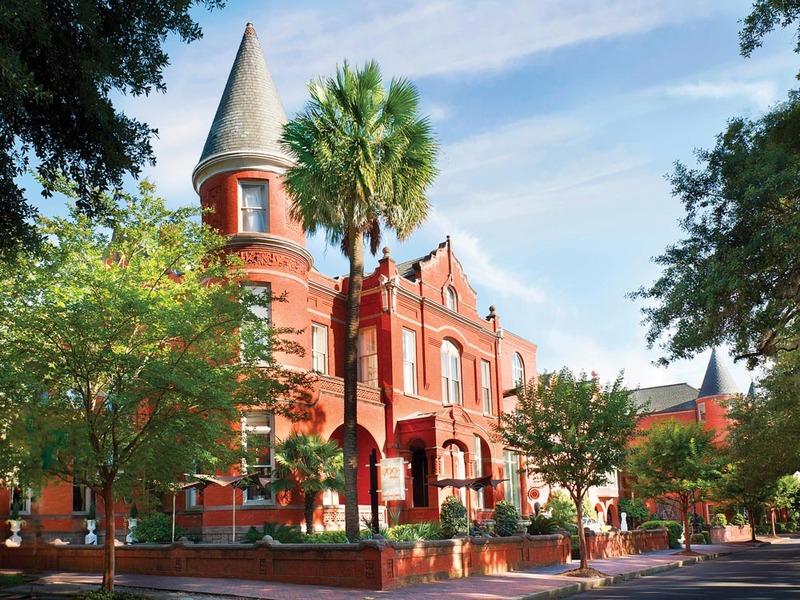 In 1966, over two square miles of Savannah’s Historic District were designated a National Historic Landmark District, precipitating a wave of restoration projects. Preserved architectural treasures include intricate ironwork adornments and structures made of tabby—a blend of lime, water, sand, oyster shells, and ash. Savannah’s historic restorations gained the city recognition, but longtime residents contend that the most powerful modern-day PR campaign hit in 1994, when author John Berendt published Midnight in the Garden of Good and Evil, an intriguing nonfictional account of a scandalous murder with references to voodoo. Upon visiting, curious travelers would find plenty to see and do, and expert sources like Travel + Leisure magazine, which ranked Savannah third among US and Canadian cities in its 2014 World’s Best Awards, further helped to spread the word. For those just arriving in town, a ride around in an open-air trolley bus or horse-drawn carriage provides a delightful overview of the homes, churches, parks, museums, and other attractions to visit, plus options for shopping, dining, and entertainment. Chatham Area Transit further offers a free shuttle service, while Savannah Pedicab Company delivers a fun alternative with a unique proposition: for trips that take less than thirty minutes, riders may pay whatever they deem the transport is worth! Since the city grid is so easy to follow, many take advantage of the family-friendly atmosphere during daylight hours to walk throughout Savannah’s historic neighborhoods: the Historic District comprises the two-and-a-half-square-mile National Historic Landmark District; the Victorian District, running south of the Historic District, encompasses fifty blocks of many brightly painted buildings; City Market, just two blocks from River Street, features art galleries and studios, eateries, and stores; Factors Walk describes the bluff above River Street that contains former cotton warehouses and merchant offices, now converted to restaurants, pubs, and shops; and River Street, a nine-block stretch of renovated riverfront warehouses, has earned a reputation for its restaurants, specialty retailers, and galleries. In addition to the Davenport House Museum, must-see historic stops include the English Regency–style Owens-Thomas House, a mansion from 1819 that occupies a full city block; the Andrew Low House, completed in 1849, which hosted Robert E. Lee and later became the home of Juliette Gordon Low, founder of the Girl Scouts of America; the childhood home of author Flannery O’Connor; the Sorrel-Weed House, a Greek Revival beauty completed in 1840; and the infamous Mercer Williams House, a Civil War–era masterpiece that became both the home, death place, and supposed haunt of Jim Williams, the real-life main character of Midnight in the Garden of Good and Evil. Coincidentally, paranormal experts deem Savannah one of the most haunted cities in the country, and ghost tours on foot or in a converted hearse are popular. While serious ghost seekers are particularly drawn to Colonial Park Cemetery, nicknamed “Paranormal Central,” a gravesite is not the only place for an otherworldly encounter—or an active imagination! Choice stops include the Olde Pink House, dating back to 1789, and the Pirates’ House, built circa 1753. Creating an urban forest within the heart of Savannah, the twenty-two squares that exist today feature year-round flowers, majestic live oaks, and magnolias draped with Spanish moss. 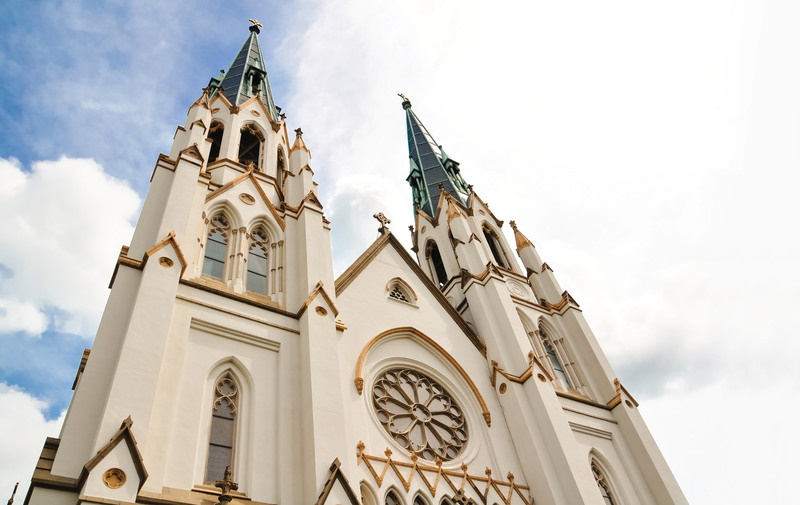 Some assert that the only spiritual activity worth observing in Savannah occurs in her houses of worship, including the First Bryan Baptist Church, the oldest continuous African American church in the United States; the breathtaking Victorian Gothic Cathedral of Saint John the Baptist, the oldest Roman Catholic church in Georgia; Temple Mickve Israel, the country’s only Gothic Revival synagogue building and home to the third-oldest Jewish congregation in the United States; and the Unitarian Universalist Church, where James Pierpont is said to have written “Jingle Bells” during his time there as organist and choir master. Attractions and events around Savannah range from religious to rowdy, as in her hugely attended annual Saint Patrick’s Day festivities (second only to New York City’s) with a parade that marked its 191st year in 2015. Public and private organizations host many happenings outdoors, such as First Fridays and First Saturdays on the River, a March-through-December celebration of art, entertainment, and crafts on River Street. Spring highlights include Savannah’s Music Festival, which showcases over a hundred performances at various venues, and the SCAD (Savannah College of Art and Design) Sidewalk Arts Festival. Pleasant from spring through fall, Tybee Island—the beach—draws crowds to its May Beach Bum Parade and Fourth of July fireworks. Oktoberfest on the River, the Savannah Film Festival, the Savannah Food and Wine Festival, and the Telfair Art Fair are among numerous fall events packing the calendar. The year-end also stays busy with the Savannah River Bridge Run, the Holiday Tour of Homes, and the Savannah Waterfront Association’s Christmas on the River and Lighted Parade. Although approaching her three hundredth birthday, Savannah seems young at heart, especially as thousands of students attend the Savannah College of Art and Design. Winding in and around the Historic District, the college undeniably influences local culture. 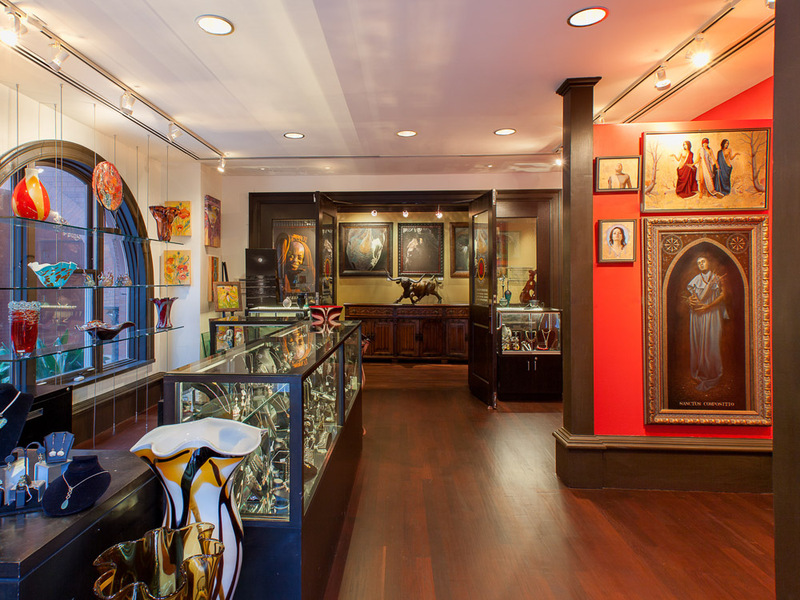 Lovers of fine art can view students’ original works at the SCAD Museum of Art and also purchase their creations from the local shopSCAD store. The ultramodern Jepson Center—part of the Telfair Museums, the oldest public art museum in the Southeast—also boasts an impressive public gallery for contemporary exhibitions. 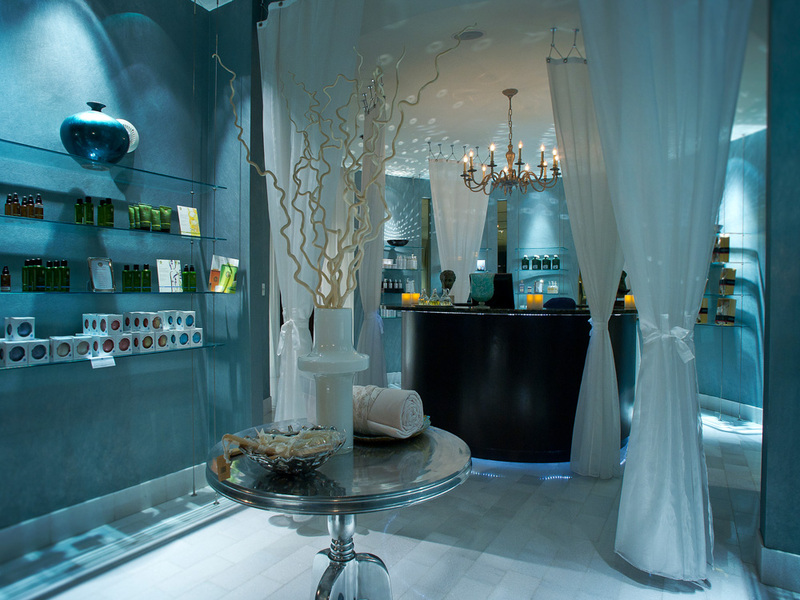 Those who embrace the fine art of shopping love Savannah’s locally cultivated retailers. Savannah Bee Company entices buyers with tastings of wild honey and an assortment of bee products from independent beekeepers in the region and as far away as Italy. One Fish Two Fish carries home decor and personal accessories sourced from neighboring shores (Daufuskie Island, South Carolina) as well as distant islands (Bali). The Paula Deen Store, overflowing with cookware, tableware, and kitchen accessories, is a great place for tea towels that say “Hey Y’all” and other colloquialisms. Whether dropping in for a weekend or taking an extended holiday, visitors who crave a bona fide Savannah getaway—one that allows them to savor the flavors of the city—will also find locally inspired places to rest their heads at night, thanks in part to Savannah native Richard Kessler. 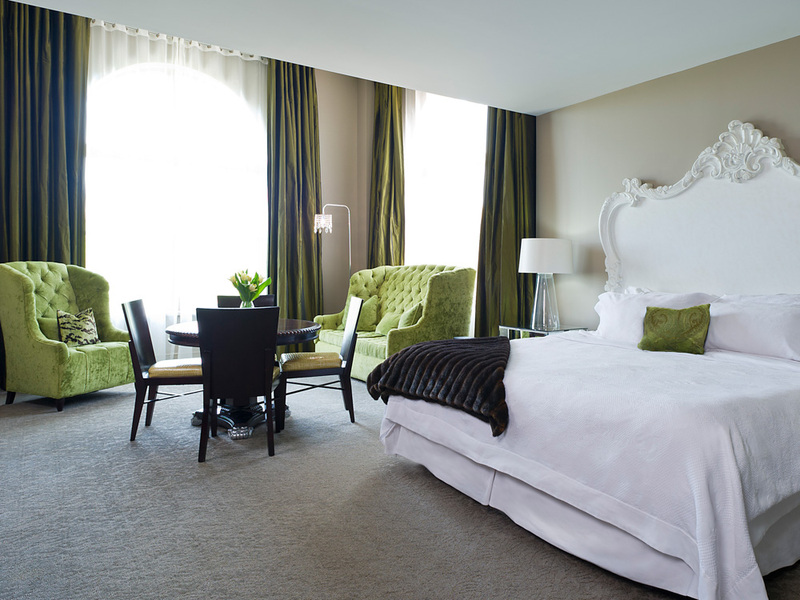 Deciding the city needed a luxury hotel, the former president, CEO, and chairman of Days Inns built the kind of place he’d love to stay in (and does) while spending time in Savannah. “Savannah is my hometown; therefore, I take particular interest and pride in the city,” says Kessler. “Savannah’s architecture and quaintness are not matched anywhere that I have traveled in the U.S.” Thus, to complement all that the city has to offer, Kessler opened the Mansion on Forsyth Park, his own company’s first Savannah hotel, in 2005. Located at 700 Drayton Street in the Historic District across from 22-acre Forsyth Park, the Mansion on Forsyth Park complex comprises the Kayton Family Mansion, a Victorian Romanesque home built in 1888, plus the new hotel. Developing the big plan as well as attending to the fine details, Kessler—who holds bachelor’s and master’s degrees in industrial engineering and operations research from the Georgia Institute of Technology and a master’s degree in hotel administration from Cornell University—took every measure to restore the old mansion while erecting something new that complements it. Past- and present-day architecture, therefore, flow seamlessly: terra-cotta bricks were specially made to match the old, and turrets on the new building mirror the original mansion’s architecture. The interior of the new building (which contains 125 guest rooms, a grand ballroom, an art gallery/shop, a lounge, meeting galleries, and the Poseidon Spa) is also reminiscent of another era, although many design elements are contemporary. A luminous onyx reception desk, pink Verona marble columns, authentic Versace furnishings, and exquisite artwork—namely, a William Russell Walker painting of a horse from Kessler’s personal collection—make the first impressions. A marble courtyard (the picture-perfect site for intimate weddings), observed through glass doors, and a manor-style pool are a few steps away, as is the sophisticated Bösendorfer Lounge. All the while, in the background plays subtle music chosen by Richard Kessler and his children, Mark Kessler and Laura Kessler Van Til, who are both Kessler executives. The surroundings are elegant, but the staff, friendly in the manner typical to Savannah, sets a tone that invites guests, including children and dogs, to relax and enjoy. As one who savors life’s finer pleasures, Kessler imparts his love of travel, art, and music with the hope that hotel guests and visitors share a similar appreciation through their own interpretations. If showing someone around the place, he’d point out favorite paintings by French impressionist Jean Claude Roy (part of the collection of over four hundred original works by numerous artists, necessitating a full-time art gallery director). “The Mansion itself is a very romantic hotel,” says Kessler, noting that the three Bösendorfer grand pianos on the property “are played at different times for our guests to enjoy.” Yet another intriguing form of art is a museum-worthy display of antique and vintage hats from the 1870s to the 1970s. Among all of the Mansion’s exceptional features, Kessler loves to show off the grand ballroom. Opulent touches—velvet fabric, gold-leaf columns, Italian-made chandeliers that Kessler designed himself, and hand-loomed carpet by Stoddard Templeton, the same Scottish company that made rugs for the Titanic—impart an old-world ambience, one that travels down the corridors, onto the elevators, and into the guest rooms. “The art, the music, and the luxury of the guest rooms are all principal to the experience,” says Joseph Kelley, general manager of the Mansion on Forsyth Park. 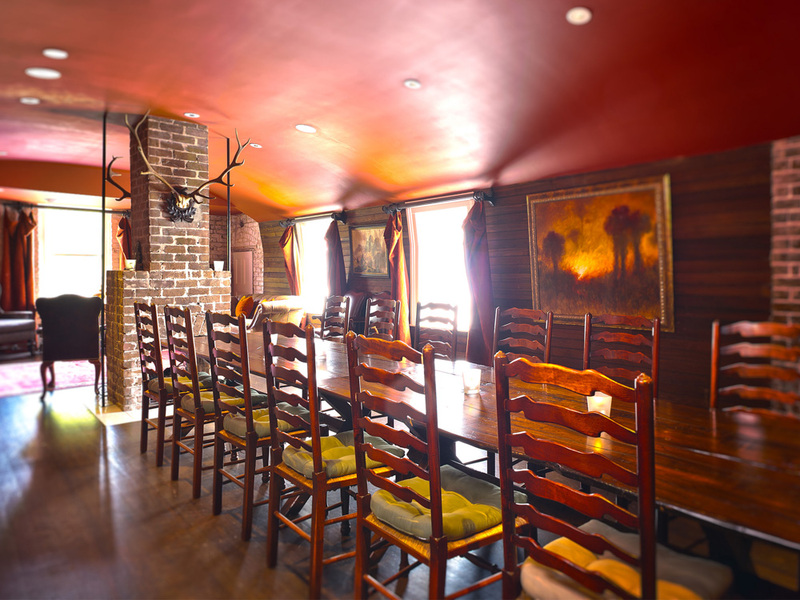 The building, however, has far more to offer than looks alone, as it is used for restaurant and private event dining, cocktailing, live musical entertainment, and cooking classes. Under the direction of Chef Richard Beichner, who has over twenty years of culinary expertise that includes cooking for President George W. Bush, 700 Drayton Restaurant takes diners from a Southern breakfast of shrimp and grits to a thoughtfully composed wine dinner that celebrates the season and chosen region. First bites and sips inevitably silence a room. 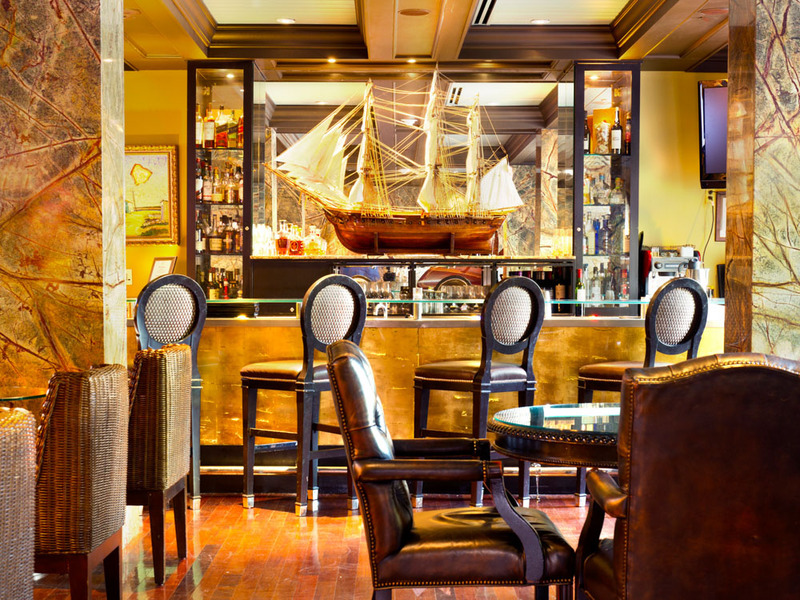 Before or after dining, in-the-know locals and travelers gather in Casimir’s Lounge (classy but fun with a bit of glitz) for live music and an arsenal of libations. If taking a private mixology class, participants might prepare a Sherman Artillery Spritzer (an aperitif of cognac, champagne, maraschino syrup, and other sweet surprises) and also learn the nuances of a Low Country “porch pounder”—in other words, whether to enjoy a drink on the veranda out front or out back. If one can imbibe and continue to wave politely to passersby, the front porch will do. If the punch is too strong, then the back porch, concealed by a high privacy fence, is appropriate! As one who savors life’s finer pleasures, Kessler imparts his love of travel, art, and music with the hope that hotel guests and visitors share a similar appreciation. For deeper epicurean insights, the 700 Kitchen Cooking School, managed by Chef Peter Russo, regularly features tastes of the South, but any menu can be arranged. A natural-born foodie who loves to teach and claims the 700 Kitchen is “the best office in town,” Chef Russo also divulges his favorite Italian culinary secrets. Considering all that his team orchestrates, General Manager Kelley contends, “Our staff is among our greatest assets.” He further notes that when such talented people relocate to Savannah, they also become assets to the city through their civic involvement and contributions. 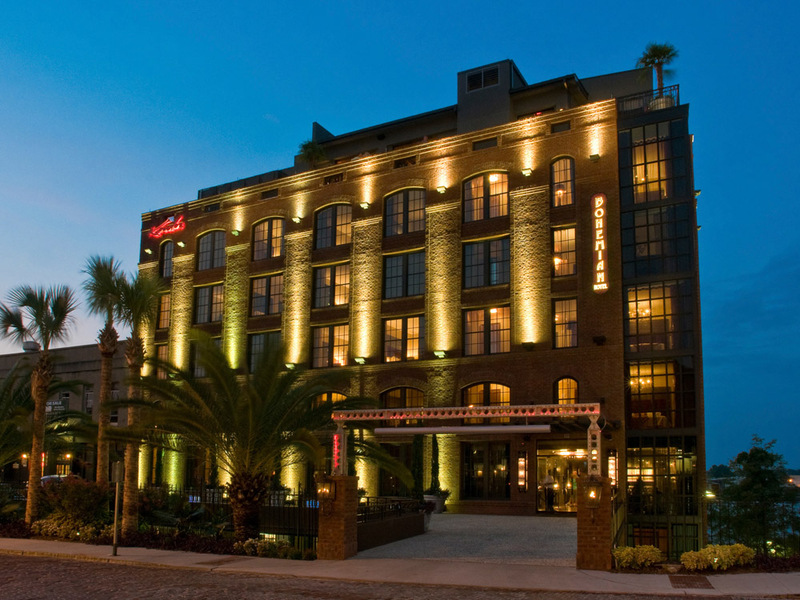 Decidedly proud of the Mansion on Forsyth Park, Kelley would love for tourists and event planners to look no further for accommodations, but he happily recommends one of Kessler’s sister properties, the Bohemian Hotel Savannah Riverfront, to those seeking an equally exceptional yet different experience. (Richard Kessler, by the way, defines bohemian as 50 percent Old World, 35 percent gypsy free-spirited, and 15 percent California free-spirited.) 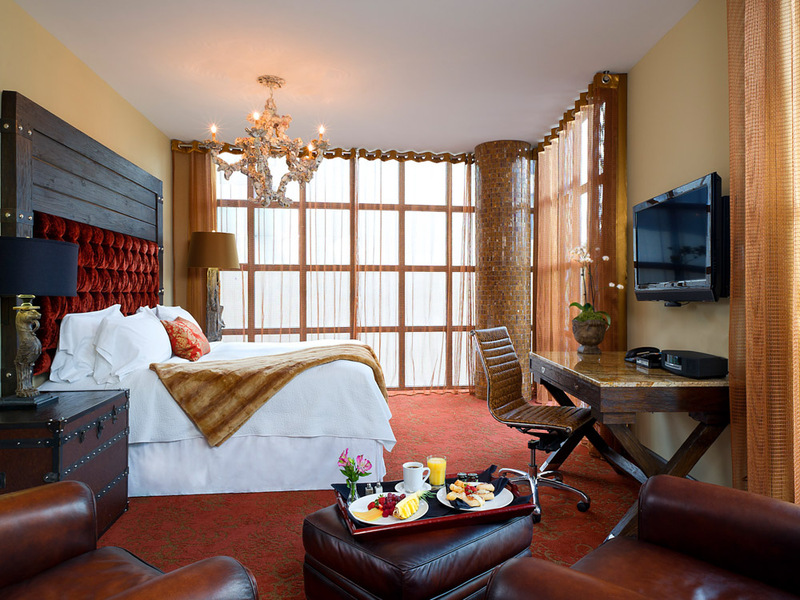 Even better, since the two hotels share amenities, registered guests can enjoy the best of both worlds and conveniently charge all purchases to their rooms. 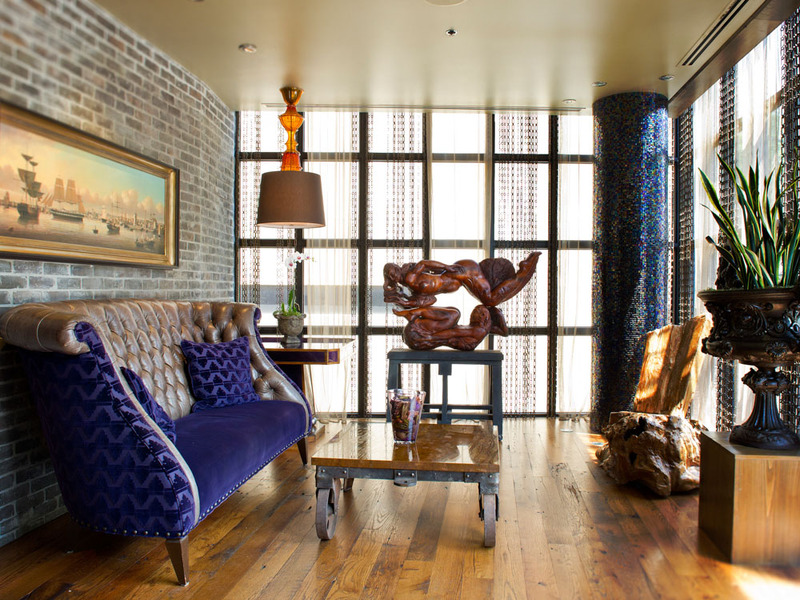 Right on the river, just a mile and a half away, the Bohemian presents all of the bounty anticipated in a Kessler hotel—music, original artwork, touches of velvet, crystal lighting, and impressive food and drink menus—along with a sense of antiquity. The newly constructed property opened in 2009, but local historians guided the Bohemian’s concept to look like an eighteenth-century port of call and feel like a passenger ship. 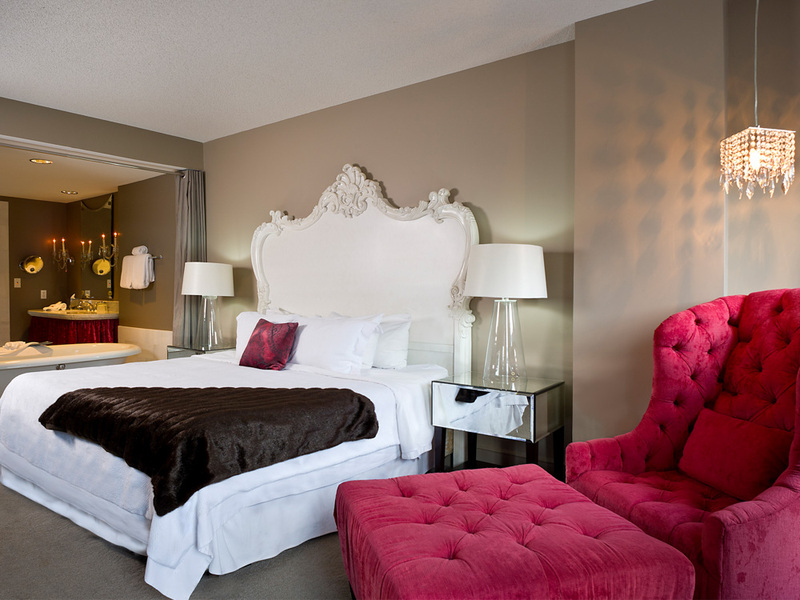 Leather club chairs, dressers in the style of old-fashioned steamer trucks, and oyster shell–encrusted light fixtures turn guest rooms into staterooms. Many rooms overlook the Savannah River, and anyone can drop into Rocks on the Roof, a place-to-be bar with some of the city’s most impressive views of the Talmadge Memorial Bridge. The balcony deck is ideal for watching ships traveling through and listening for the maritime horns of two vessels passing one another. The effect is romantic, but live music, plenty of wine, beer, and signature cocktails—like Sweet Tea Bourbon—and tapas-style edibles keep the vibe young and hip. 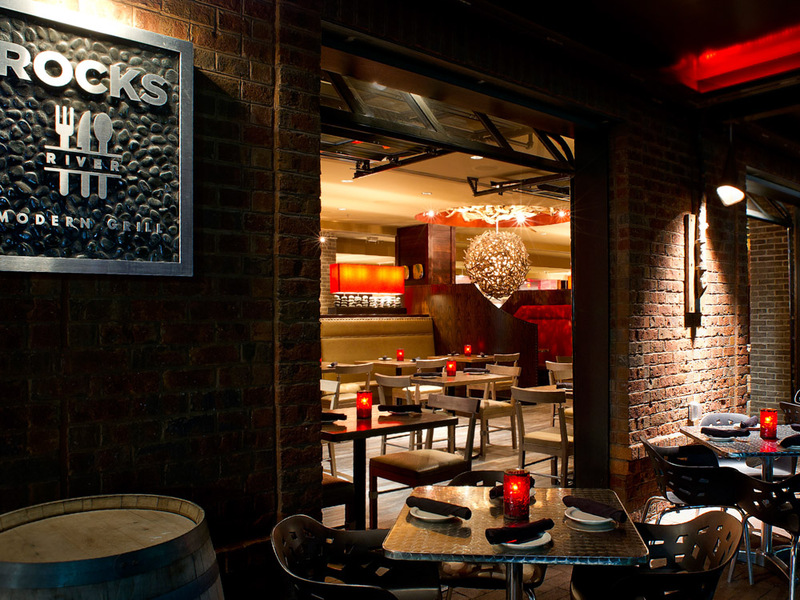 To satisfy serious hunger pangs, Rocks on the River, the restaurant located on the lobby level with a main entrance that opens onto River Street, welcomes drop-ins of all ages and food interests. 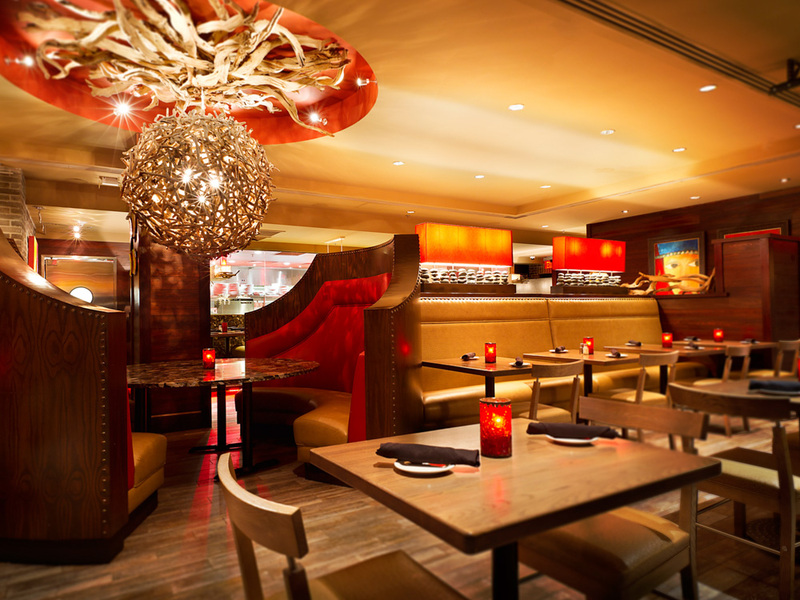 The menu reflects a love of Southern delicacies—light, flavorful fried green tomatoes; mouthwatering chicken and waffles; locally caught seafood—and shares a camaraderie with those who have hearty appetites. Chef Eric Backer, who has a knack for sourcing unique ingredients and mastering multicultural dishes, continually surprises with new additions and worldly flavor combinations that pair wonderfully with expertly sourced wines. Interestingly, however, nine Kessler properties are wholly owned subsidiaries of Marriott Hotels. In 2010, Kessler first accepted an offer to co-brand seven of his hotels with Marriott while retaining management control and preserving the intrinsic qualities of his properties. The relationship inspired the Autograph Collection, a Marriott showcase of hand-selected hotels around the globe, each of which falls under one or a few getaway themes: artistic, culinary, historic, indulgent, luxury, natural, sporting, urban, and wedding. While Marriott owns a portfolio of one-of-a-kind properties, Autograph Collection hotels receive worldwide marketing exposure, and customers explore the world with peace of mind and Marriott’s benefits, including loyalty programs. As the Kessler Group branches out, Richard Kessler remains deeply loyal to Savannah. The extraordinary Plant Riverside project underscores his commitment. In 2012, Kessler purchased a decommissioned Georgia Power plant building, dating back to 1912, with a massive redevelopment project in mind—one that will give new life to nearly four city blocks of Savannah riverfront property yet preserve the beautiful brick shell and intriguing architectural features inside. From considerable planning, the scheme for Plant Riverside entails two distinctive hotels, retail shops, restaurants, a children’s museum, open-air pavilions, pedestrian walkways, and parking, all scheduled in one phase of construction that will soon break ground. The $220 million investment should yield eight hundred permanent new jobs. To interpret his vision, which requires urban planning, restoration, and new construction and involves the Army Corps of Engineers, Kessler turned to nationally renowned architect Christian Sottile, dean of the SCAD School of Building Arts and principal of Sottile and Sottile Architects, a firm that specializes in urban designs and historic preservations. “Richard asked us to create something that would give back to the city, adding green space and quality of life features,” says Sottile. “It was not about maximizing what he could build.” Optimizing the waterfront’s advantages and granting plenty of public access, Plant Riverside takes Southern hospitality all the way to the rooftops with pools, bars, and event decks. “This is not just an infill project,” Sottile emphasizes. “This is an urban design strategy that ties into the existing city street infrastructure.” The City of Savannah has agreed to extend the Savannah Riverwalk to the future promenade and take existing streets to Plant Riverside. 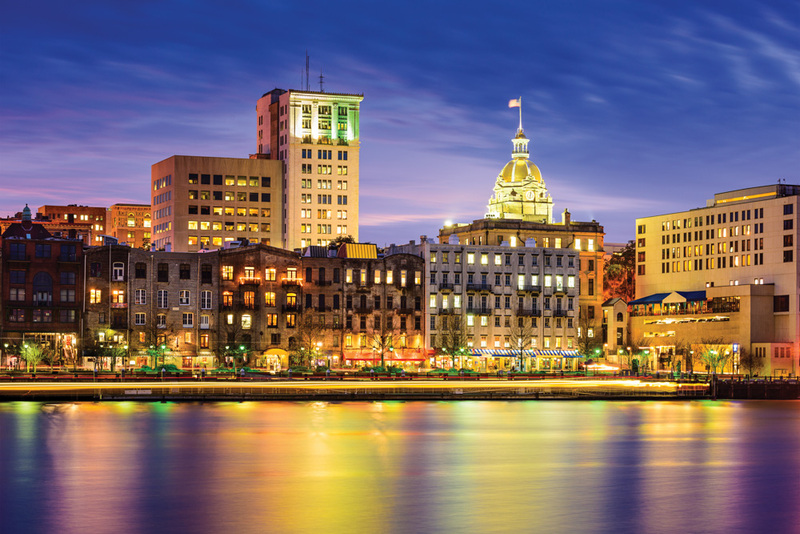 Remaining a beautiful, relevant city does take work, but past and present, Savannah has succeeded in attracting visionaries, who have not only recognized her unique qualities but also understood how to enhance her appeal. Now or in the future, if people want to see what she has to offer and even how she compares to other cities of the South, Savannah welcomes visitors to drop by, hoping they do plan to stay long enough to get to know her properly, any time of the year.